Bremerton, only a short ferry ride from downtown Seattle is one of the best kept secrets for housing affordability and livability in the Puget Sound region. 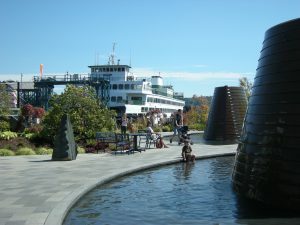 Situated on the east side of the Kitsap Peninsula, Bremerton is due west of Seattle and has ferry routes to downtown Seattle and Fauntleroy via Southworth. Bremerton is an important Naval shipyard and federal employees are a critical part of the city’s economy. It is the largest city in Kitsap County, which also includes Bainbridge Island, Port Orchard, Kingston and Poulsbo. Most of Bremerton lies either on Sinclair Inlet, Dyes Inlet, or Port Washington Narrows which bisects the city. At Executive Wealth Solutions, we employ highly innovative methods like Privatized Banking in order to help you accumulate and retain wealth while minimizing taxes.